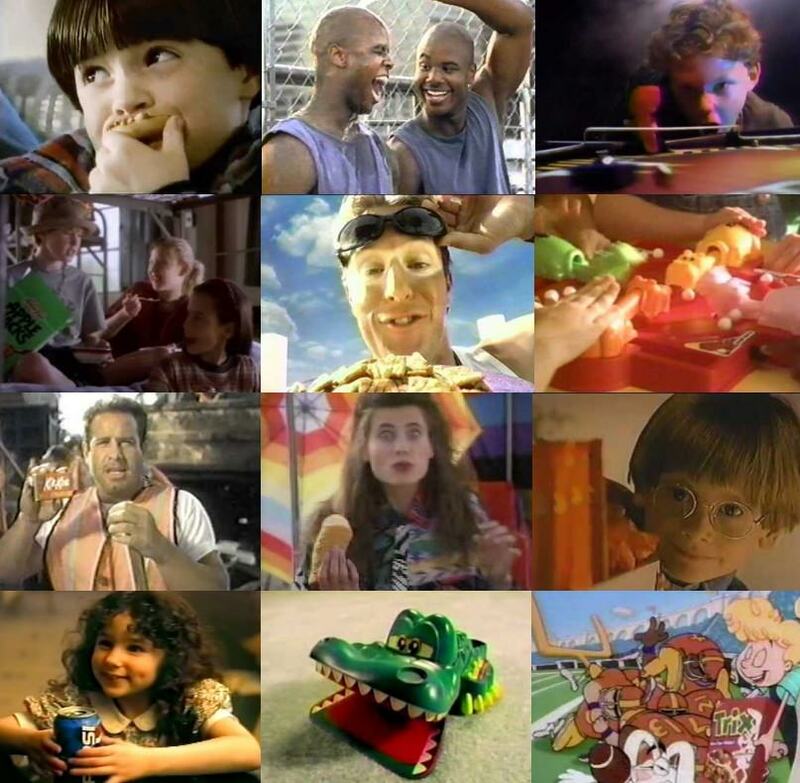 Can you click on the correct still from a commercial from the 90's when given an excerpt from the commercial? Anyone else feel a twinge of nostalgia looking at these? Silly rabbit, [product] are for kids! He sees everything, but can he see why kids love [product]? We're in an eating race! Pizza in the mornin', pizza in the evenin', pizza at suppertime; when pizza's on a bagel, you can eat pizza anytime!